When an eerie ghost rider appears on the Fort Peck Indian Reservation and begins butchering innocent lives, native superstitions are fueled. Could this wraith actually be General George Armstrong Custer returned from the dead to seek retribution for his massacre at the Battle of Little Bighorn? Then, when gangsters attempt to kidnap a Sioux Princess at a prestigious college in New York, Captain Hazzard and his team of adventurers soon find themselves flying to Montana to unravel a truly bizarre mystery. Accompanying them is Jim Anthony, the famous Super Detective, along with his grandfather, the Comanche shaman, Mephito. Somewhere in those rugged mountains and plains lies a secret from the past that will change Anthony's life forever. 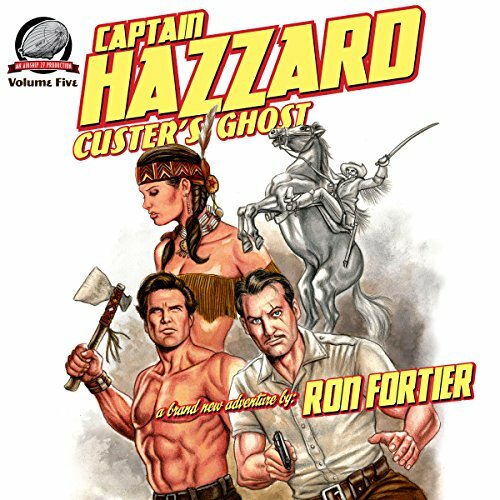 But to uncover it, he and the Hazzard team will have to risk all and solve the mystery of Custer's Ghost! Classic pulps heroes team up in a fast paced, action packed pulp thriller. Stuart Gauffi's reading is suspenseful throughout.